However, ACA Research says its latest insights reveal that the ‘death of car ownership’ is a premature concept. On top of this, it says its research also clearly shows that the independent mechanic is the preferred service channel for younger Australians. 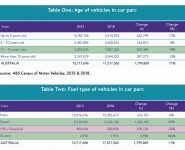 As table one shows, more than 17 million Australians aged 18+ have a driving licence and own a motor vehicle, including roughly five million Millennials and Generation Z vehicle owners. Looking at their most recent service, 70 percent of Generation Z also say they used an independent workshop or chain, compared with 45 percent of Baby Boomers and Greys. 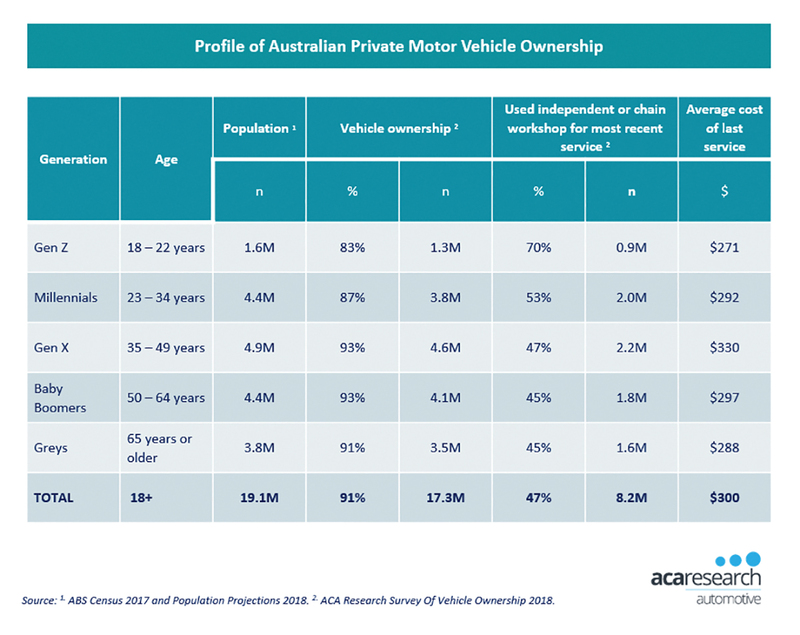 ACA Research says this bias towards independents is likely to reflect the age of the vehicle they own, but it also represents an opportunity to build a long term relationship with younger car owners who represent the customer of the future for many workshops. 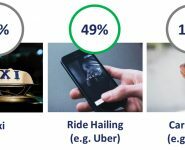 These three choice drivers are universal across all generations which means the same messaging can be used in all communications, says ACA Research. Where younger motorists differ is in the channels they use to consume information. Fundamentally, Generation Z and Millennials tend to be digital first customers. 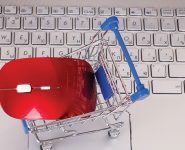 This means they turn to digital channels first to contact a brand, to seek support and advice, and to make a purchase. Mobile is their preferred device and they are heavy users of social media to find and evaluate potential service providers. So, what does it take to win the heart of the younger motorist? ACA Research says its research shows trust is a key differentiator for choosing a workshop, so it advises you use social media to pull back the curtain and show the transparent nature of your business. 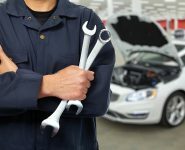 Your customers are looking for evidence of the skills of your mechanics, so ACA Research recommends you use video to demonstrate the technical competence of your staff. With mobile the device of choice, it is recommended you make sure your website is mobile optimised. Finally, get customers talking about the great service they experienced at your workshop – word of mouth is still king, it’s just that your younger customers have a different way of spreading the word. This column was prepared for AAA Magazine by ACA Research, our partners in the AAAA Aftermarket Dashboard, which is delivered to your inbox each quarter.